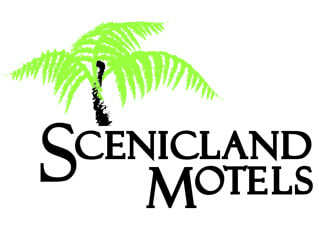 Welcome to Scenicland Motels - offering you quality accommodation at an affordable price. Our motel offers you 5 new executive suites and 9 very spacious 1 and 2 bedroom fully self-contained apartment-style units. Whether you are a business traveller or here for a break, Scenicland Motels can offer everything you need. Our units all include off-street parking, kitchens, FREE WIFI, Sky TV, heat pumps, spacious living areas and bathrooms, exceptional quality super king, king-size and single beds, electric blankets, complimentary tea, coffee, snacks and toiletries. We are situated a short 1.5km from downtown Greymouth, also within a 5 minute walk to Grey Base Hospital, New World, Aquatic Centre and Restaurant. Continental breakfast is available, free guest laundry, free pickup and drop off to town, and your canine or feline friend is welcome to stay. Greymouth is the gateway to the breathtaking beauty of the West Coast. We welcome your stay with us and look forward to helping you plan your visits to the many wonderful places the West Coast has on offer.. Corporate and group rates available. Winter and GreyPower discounts apply. For more information visit our website www.sceniclandmotel.co.nz. Matheson CaféAward-winning café boasting unsurpassed views of Mt Cook and Mt Tasman. Matheson Café is a breakfast, lunch or dinner experience not to miss when . . . More . . .